A year after launch, the company’s team collaboration tool is now used by 200,000 companies. ORLANDO, Fla. – A year after its launch, Microsoft’s Teams collaboration tool is gaining traction among users and maturing as a communications platform, Microsoft officials said at this week’s Enterprise Connect conference here. The company also elaborated on plans to boost video and call capabilities within Teams, as well as using artificial intelligence (A.I.) to improve meetings. While Teams integrated with Microsoft’s unified communications capabilities at launch, in the following months it became clear that the chat app would take over Office 365 communications, replacing Skype for Business. Lori Wright, general manager for Microsoft Teams and Skype, said that 70% of Skype for Business customers are now also using Teams. “When we first introduced Teams, we had the vision that it would become the chat-based workspace,” she said. “But we knew that there was more to it and we quickly moved from Teams as the chat-based workspace to the hub for teamwork. A raft of features unveiled this week are designed to build out Teams capabilities as a communications platform. One is cloud recording, which allows voice and video calls to be stored and saved within Teams channels. This makes it easier for team members to catch up on what has been discussed in their absence, said Marc Pottier, principal program manager for Teams. “You will see the content that is being presented, you will be able to hear all the audio track of everyone speaking,” he said. “We capture and package that up and put it back into the channel so other people can refer back to it later. Eventually, Microsoft plans to add facial recognition so that comments can be attributed to specific speakers. Microsoft has also added the ability to blur out backgrounds surrounding a person on a video call. That feature alone could encourage more remote workers to use video rather than audio during a call. ‘Enterprise-grade’ calling features such as consultative transfer, call delegation and federation will be introduced to Teams during the second quarter of this year, alongside Direct Routing which allows customers to use their existing telephony infrastructure with Teams for calling. The latest announcements show how Microsoft is integrating voice and video capabilities. “Part of that roadmap is to continue to refine the meeting experience,” said Art Schoeller, vice president and principal analyst at Forrester. Jon Arnold, at J Arnold & Associates, said Teams has quickly become “much more mature” in terms of communications features. There are also enhancements to the physical meeting room experience built around partnerships with IP phone manufacturers such as AudioCodes and Yealink and meeting room solutions providers such as Polycom. And native support for the Microsoft Surface Hub digital whiteboard are coming; that would bring Teams into line with Cisco, which has tight integration between its Spark team collaboration app and Spark Board hardware. Partnering with meeting room hardware firms also opens the door for Microsoft’s A.I. assistant, Cortana. As speech technologies show some early promise in enterprise settings, the meeting room is seen as one place where the technology could fit. Amazon has been keen to tout the potential of its Alexa for Business tech in this setting, as has Cisco with its Spark Assistant. Cortana will be integrated with meeting room devices, simplifying tasks such as setting up conference calls with voice commands. It will also be possible to add someone to a video conference mid-call. “If I want to do something like add someone to the meeting, all I have to do is hit my assistant button and Cortana does it for me,” Bukshteyn said. 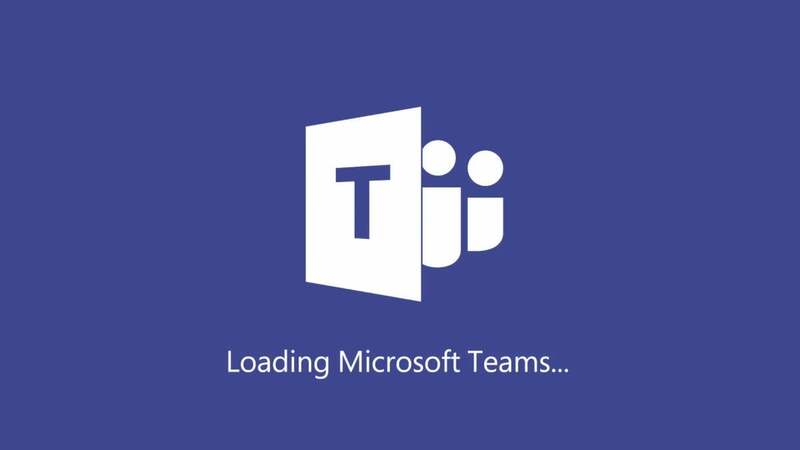 Microsoft announced that 200,000 organizations now use Teams, up from 125,000 six months ago. The list includes Maersk, NASCAR, Navistar and General Motors, which was added as a large enterprise customer this week. “Microsoft Teams enables our employees to connect across geographical and organizational boundaries through a single place to access all the conversations, files and content,” Red Killeen, CTO at GM, said in a blog post. The latest user figures put Microsoft ahead of Slack in terms of business adoption. Slack prefers to highlight the number of active daily and monthly users, a figure Microsoft declined to provide. With 120 million Office 365 users, Microsoft is increasingly in a position of strength, said Arnold, though there is likely to be room for both companies to grow as interest in team collaboration continues to boom. “They [Microsoft] have the customer base, they have the user base that is everywhere,” he said. “That is not to say that Slack will go away…. Most companies will not just gravitate to one platform.